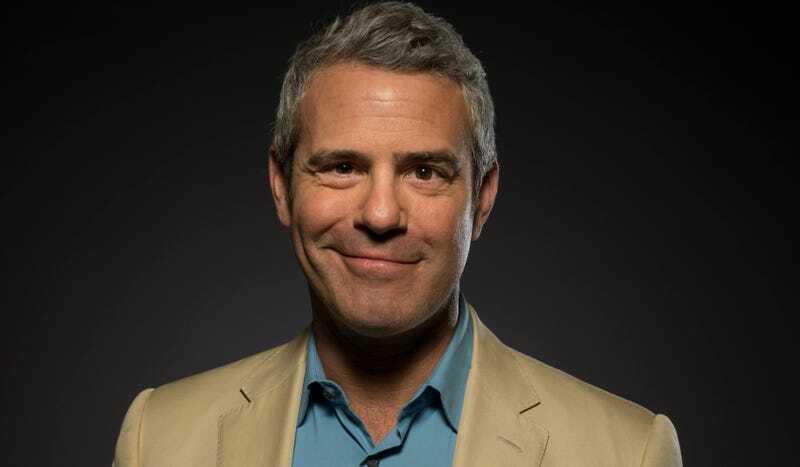 More than four months after comedian Kathy Griffin was relieved of her hosting duties for CNN’s New Year’s Eve Live program over participating in seditious photoshopping mischief, Andy Cohen was named as her replacement. Griffin and Anderson Cooper had been co-hosting the New Year’s Eve special for a decade when in May the image of a placid Griffin holding aloft the bloodied, severed head of Donald Trump (guys, it was a fake!) hit the Internet and…did not go over well, to say the least, especially with politicians and executives. Oh hell yeah can’t wait to party through the tiny, confetti-strewn hours when 2017 is dead and 2018 has yet to prove disastrous.